A new special on the music phenomenon that has swept the world! 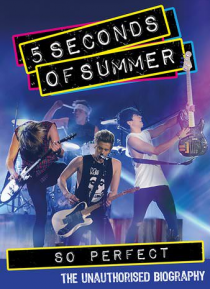 5 Seconds of Summer are not just another boy band - the four teenagers from Australia have risen to global mega-stardom in the blink of an eye and this program traces the rise of 5SOS, from their humble beginnings in a Sydney suburb to sell-out stadium rockers! When their highly anticipated debut album entered at Number 1 on the US Bi… llboard chart, Luke, Michael, Calum and Ashton sealed their place as the hottest band on the planet.